Magento 2 Google Tag Manager extension is the properly mixed solution with the site-tagging function and the supplement of Google Analytics Enhanced Ecommerce, Google Adwords Conversion Tracking, Facebook Pixel. The module with the full functionalities definitely will support e-commerce stores to collect huge data, analyze customers insight deeply, improve store performance and increase conversion rate. trending_up What are tags in sites? Tags are snippets of code which are added to a site to collect information and send it to third parties. Commonly, sites use a lot of different tags and this requires a deal the amount of code to create them. Therefore, the workload can become quite overwhelming to store sites, especially trying to add or edit tags by going directly into the site’s source code. Google Tag Manager is a tool with a user-friendly, web-based interface that simplifies the process of working with tags. With GTM, store admins are able to add, edit, and disable tags without having to interfere with the source code. Google Tag Manager makes it so much easier to add and edit tags without hard requirements of technical knowledge. It’s great for e-commerce businesses that might have limited access to technical support. With the usage of dozens of tags, Google Tag Manager makes it easier to manage them well and improves site speed. Besides, Magento 2 Google Tag Manager extension will help your Magento store to integrate Google Adwords, Google Analytics and Facebook Pixel, from which you can manage all through the site. In order to apply Google Tag Manager for Magento 2, only need to insert Google Tag ID, which you get from creating Google Tag Manager account from Google, into the Magento Admin and then, enable it to use. As usual, for Google Analytics or Adword, you must put many codes on the source of website and the speed of your site is lower than normal because it is hard to load. However, with Google Tag Manager, it is called as the third-party to handle all your script-tags and you only need to add its code into your site. Google Tag Manager supports Dynamic Remarketing. If remarketing is showing ads to the ones who have previously visited a website, dynamic remarketing will take a further step that is showing ads which contains products and services they viewed. Because the messages are tailored to different audience, dynamic remarketing helps online stores build leads and sales by bringing previous visitors back to store sites to complete what they started. Product List Performance: See details about Product List Views, Product List Clicks, Product List CTR. Besides, other features such as IP Anonymization, Enhanced link attribution, Display advertising feature, etc are well included in this extension. Especially, Facebook Pixel is great for running retargeting ads on Facebook. The installation was a smooth and painless process and worked straight away. Currently, it works exactly as I expected. Worked seamlessly when I upgraded the core Magento too. This is a very important extension that I was looking for in a while, Mageplaza met my expectations and the price tag was awesome too. Thanks, guys for your hard work. Exceptional customer support! Based on the support provided by Eric and his team Mageplaza has earned a new loyal customer. Thank you very much once again, great job! The extension is very good, easy to use and easy to install. It does the job. The support team is also very fast. I can recommend. Our developer was able to get support assistant right away. The extension works great on our clients Magento site. Thank you for all your help. I wish Mageplaza made more Magento extensions. I have used both their SMTP and this Google Tag Manager extension. They work perfectly. I wish they made an extension to turn Magento into a Marketplace. I purchased Webkul's extensions for that and their quality doesn't even come close to Mageplaza's. Maybe it's that Mageplaza focuses on much smaller extensions to ensure they get everything right but I can definitely tell the difference in quality. I used this Google Tag Manager extension to enable Facebook Pixel on my site and it's great. I didn't have to embed any code in my application and Facebook pixel auto detects events like Add to Cart and Purchases and Google Tag Manager wires it all together with the help of this little gem. Google Tag Manager plugin works great and does what it says on the tin, definitely, I will recommend this module. The installation was a smooth and painless process and worked straight away. It was very easy to install and setup. Currently, it works exactly as I expected. Thanks, Mageplaza. I would recommend this great module to everyone. This is a must-have tool for every store. Everything works as promised, this extension works great, much better than free extensions for Google Tag Manager. Also, the good documentation of this extension helps too. I will be a loyal customer for a long time! Thanks to Mageplaza support team. This extension is very helpful and works well. The support is very good. The installation is very easy. The module is very simple to configure. I recommend for every one to use any extension of Mageplaza. Great extension that makes it really easy to work with Google Analytics and AdWords. Makes work easier for my employees. Simple installation and very good manual. I ordered more extensions and had a positive experience everywhere. Great for Tracking Multiple AdWord campaigns! I need a tool that would let me track multiple ad campaigns as to pay for our affiliates. With this I am able to attribute properly every single different ad campaign and pay my marketers accordingly. This is extension is very good and helps SEO on Google. Helps in marketing as well. Thanks to Magaplaza for introducing this extension. Overall this extension is excellent and very easy to install. Great! Very smooth, all you have to do is put in your tracking id, and there are some configurations, thanks to their great documentation i was able to set this up smoothly and now analytics is tracking the site effectively! love it, great work MP! loyal customer for long! 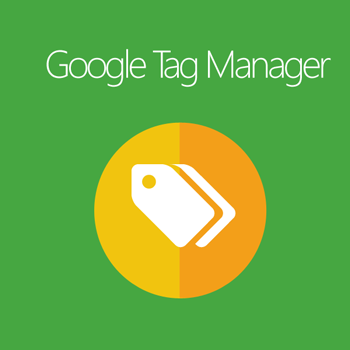 This extension makes it easier for advanced tracking and integrating with google tag manager. Installation was easy and I am happy with it. Thank you, Mageplaza. Keep up the good work! Its very necessary, I needed to enable Google Tag Manager for my Magento store. Then I came across this free extension. and In minutes, I was able to install and use this extension. There is a minor issue with setup, I resolved by myself. I needed to enable Google tag manger for my magento store. Then I came across this free extension. and In minutes, I was able to install and use this extension. Worked very well for me. A must have extension if you wish to enable GTM on your magento store..
At that miserable time, I was just a newbie to Magento 2 who had no idea about Adwords and Google Analytics and HTML stuff and so on at the same time. Everything was a true mess. Until one of my partners recommended me to try Mageplaza's extensions and luckily it's free so I immediately checked it out like Ihavenothingtolose :d Then things turned out pretty ok, the modules are easy to understand and configure. I did figure out that remarketing is basically necessary for every store. Fortunately, Google Tag Manager supported me on this issue really quickly. One more cup of tea in here that I'm no longer maintaining tons of usual code on the source of our website, mostly for the time being I just need this extension only to handle all my current script-tags. Again, thanks Mageplaza for granting me this good chance to practice! This was very helpful for us. We were trying other tag manager but this was good. 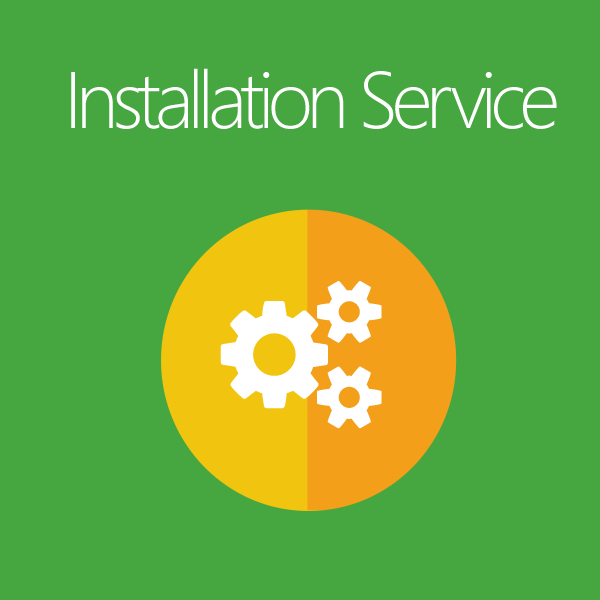 Installation was also easy when compared to the other extension available in the market. Overall the product was awesome. IP Anonymization, Enhanced link attribution, Display advertising feature, etc.